Nickelodeon’s The Legend of Korra will be at this year's New York Comic Con! Executive Producer and Co-Creator Bryan Konietzko and Co-Executive Producer Joaquim Dos Santos will host the freshly announced panel on Saturday, October 12th at 11am. Join them as they pull back the curtain to reveal sneak peeks of what’s to come in Book Two: Spirits. They'll also show exclusive artwork, never-before-seen footage, and join in a discussion with special guests from the The Legend of Korra voice cast. The panel will be held in Empire Stage 1-E. This year's New York Comic Con will take place from October 10th-13th at the Jatvits Center. Stay tuned for more updates. 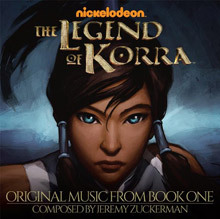 The highly anticipated one hour premiere of Book Two: Spirits for Nickelodeon's The Legend of Korra pulled in 2.6 million total viewers this past Friday night. To make a comparison, the Book One: Air premiere got 4.5 million, and the show itself averaged around 3.5 million for most episodes. Likely playing a big role in dip in ratings is the show's new time slot. The Legend of Korra moved from a prime spot for kids at 11am on Saturday mornings to 7pm on Friday evenings - when a lot of kids, tweens, teens will be hanging out with friends, at high school football games, or at the mall. The next episode of The Legend of Korra airs this Friday at 7pm. Join in on the discussion on our forums to talk about the show's ratings, and to just geek out about everything Korra! 'The Legend of Korra - Book Two: Spirits' Release Date Set for Friday, September 13th! Yahoo! 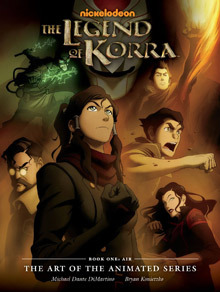 TV just revealed that Book Two of The Legend of Korra will premiere on Friday, September 13 at 7PM. The story will pick up approximately six months after Korra freed Republic City of Amon and his Equalists threat. Korra and her friends will face impossible new dangers. And for the first time ever, she will venture into the parallel plane of the spirit world, where all the immortal, supernatural, and spiritual entities exist. Also, Nick debuted a new trailer on their website for the new book. I believe that Friday is a great day for the show to air new episodes. And Friday the 13th is a smart debut date for Book Two: Spirits! 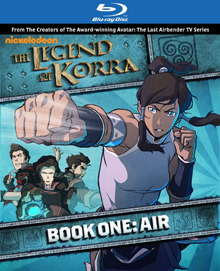 If you need to catch up on the series before the new episodes debut, Book One: Air is currently available on Blu-ray and DVD. Nickelodeon premiered a new web series based off The Legend of Korra today titled Republic City Hustle. The series has a unique animation style, and it gives us a look into the lives of Bolin and Mako on the streets of Republic City before we met them in The Legend of Korra. The series is a great way to build some excitement and at the same time give fans some new information before Book Two: Spirits debuts next month. Head over to Nick.com to check out Part 1 of the Republic City Hustle web series!